Detailed information and reviews of Colorado teachers, instructors and schools offering music instruction, classes and private lessons. Post your requirements and receive no obligation price estimates and quotes. Qdoba - I like qdoba. The food is good and the prices arent bad - they offer coupon mailers. Spicey and good! Music Lessons - Lessons for my 12 year old son on the acoustic guitar. Beginning adult fiddle instruction - I am interested in schedules and fees for beginning adult fiddle lessons. 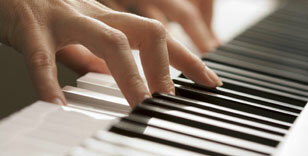 Dance, voice, acting, piano - We are interested in dance, voice, piano and acting. We would like to stay close to Leadville, Co as possible, but would rather go east, not west. Djembe lessons - Djembe lessons. Would like a teacher toward the south part of Denver since I live in Aurora. Singing - How much would it cost to get singing lessons. I am a pretty good but some of the notes I'm not. Mandolin Instruction - Mandolin Instruction in the Parker Area. I'm a Intermediate player, Hopefully. Private violin lessons - Private violin lessons for my grandson who is a beginner. We can go to a place or have lessons in the home. Djembe Lessons - Djembe lessons for a beginner preferrably on the weekend. Thank you so much.